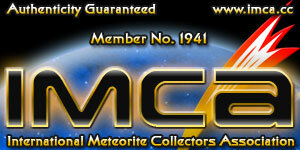 Cosmic Connection Meteorites reserves complete title and full intellectual property rights in all Content. 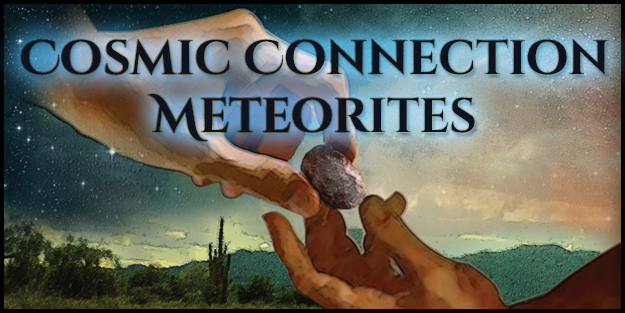 Except as expressly authorized by Cosmic Connection Meteorites, you may not use, alter, copy, distribute, transmit, or derive another work from any Content obtained from this website, except as expressly permitted by Cosmic Connection Meteorites. Copyright: This website and all content are protected by U.S. and/or foreign copyright laws, and belong to Cosmic Connection Meteorites or third parties. The copyrights in the content are owned by Cosmic Connection Meteorites or other copyright owners who have authorized their use on the this website.